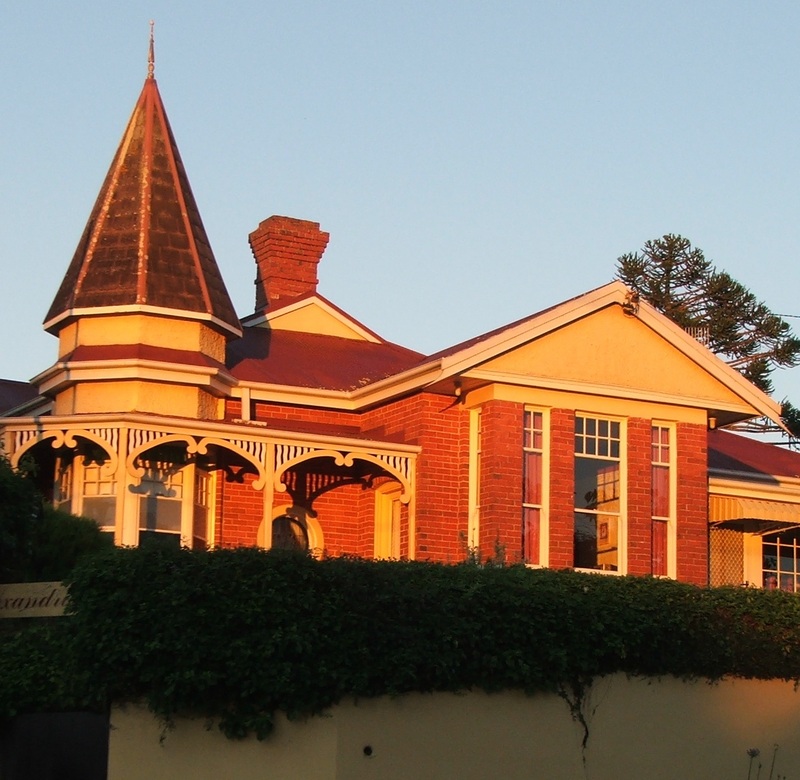 "Alexandria", built in 1905, is a gracious Federation style home on the banks of the Inglis River at Wynyard in North West Tasmania, providing accommodation and continental breakfast in the tariff. 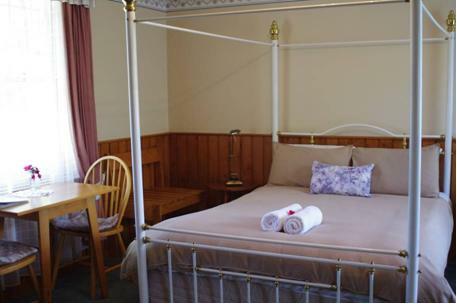 All rooms have ensuite and mini-bars (excluding the Rose Suite). Gardens surround the home and the guest rooms overlook the Inglis river. Although only 1.5 km from the Wynyard town centre and the Burnie Airport, Alexandria offers an atmosphere of spaciousness and serenity, perfect for a holiday or business purposes. Superbly positioned overlooking the banks of the Inglis River, our garden cottage has been purpose built to capture views of both the river and the sweeping lawns bordered by lovely cottage gardens. 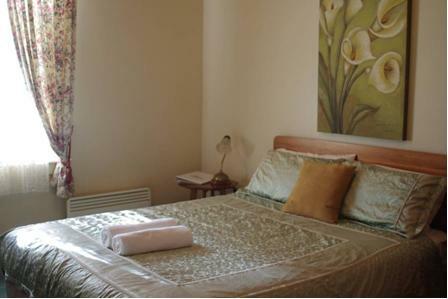 Chestnut, our spacious queensize suite containing a queen and single bed is well equipped for either short or longer stays, with microwave, bar fridge, and full crockery supplied. A foldaway bed will be set up for the option of 4 persons. Complimentary port and chocolates on arrival. Superbly positioned overlooking the banks of the Inglis River, our garden cottage has been purpose built to capture views of both the river and the sweeping lawns bordered by lovely cottage gardens. Oak, our spacious queensize suite with extra single bed is well equipped for either short or longer stays, with microwave, bar fridge, and full crockery supplied. 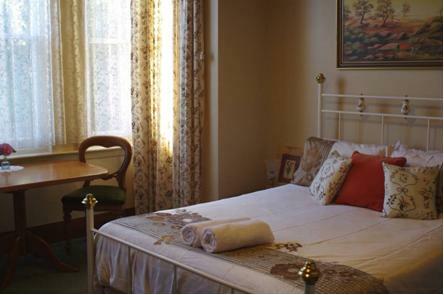 The Camelia Suite, named after the many camelia bushes in the garden, is situated in the main house and is ideal for the single traveler. This suite is a cosy double featuring the largest bathroom we have to offer and includes a double bed, TV, bar fridge and complimentary tea/coffee. Continental breakfast is included, served in the main house dining room. 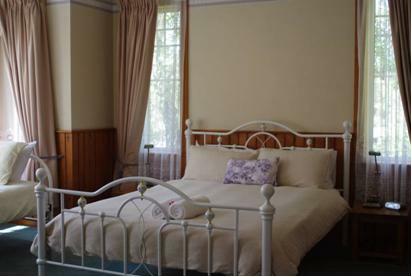 The Daisy Suite, named after the many long flowering daisy bushes in the garden is the largest suite available. It is a spacious queen suite positioned under the magnificent English Oak in the newest extension of the house. An adjoining room is set up as a semi-kitchen with bar fridge, microwave, kettle, toaster and extra crockery, perfect for longer stays. Continental breakfast is included.